Time for a change with a collection that offers nothing but. also called garment wash, offers an exciting complement to our crisp Signature Finish. The layer player. Everything you love about shirts and transeasonal jackets. From metamorphic fantasies in must-have all-over prints to subtle details. Menswear accessories, the way they should be. Designed to express your style. Classic essentials — innovative material: a more sustainable premium choice. What we know and take for granted are things familiar to us. But if we combine them with something new, magic can happen; the known becomes the unknown, the exciting. We kick off 2019 with a stunning new men’s shirts collection featuring some of the most creative prints Eton has released (and that’s saying something). As always, our premium quality men’s shirts are made from the finest cotton in the world, and the new collection spans from the new print shirts to inspiring micro prints to classic white shirts, light blue shirts and stripes and business shirts as well as casual shirts. From the subtle to the expressive, the Transformation collection has “what if” as its design mantra. What if there were zebra-shark-rhinos? What if we made a classic Bengal stripe doubled as the stem of a flower? The answer is — a show-stopping new Eton collection. In addition, refined denim shirts, also known as indigo shirts, and a soft business and cross-over casual shirts brighten the season. For accessories, we meet the new year with a mix of classic business print ties and pocket squares, in the refined Eton way and brighter colours and fun but stylish patterns. As always, made by the most premium tie-makers.  New year, new Eton collection.